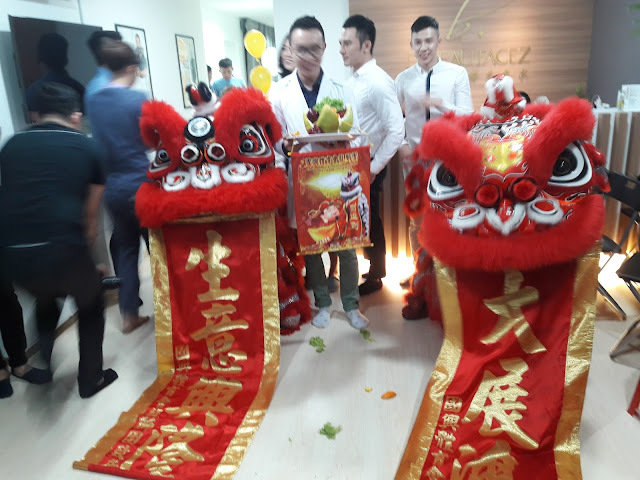 D'beau Facez 帝妃时尚医美专家was officially launched on 17th December 2017 with lion dance performance witnessed by founders Aaron Tan and Terry Woo, together with business partner Apple Hong and Dr. Mino Suen. 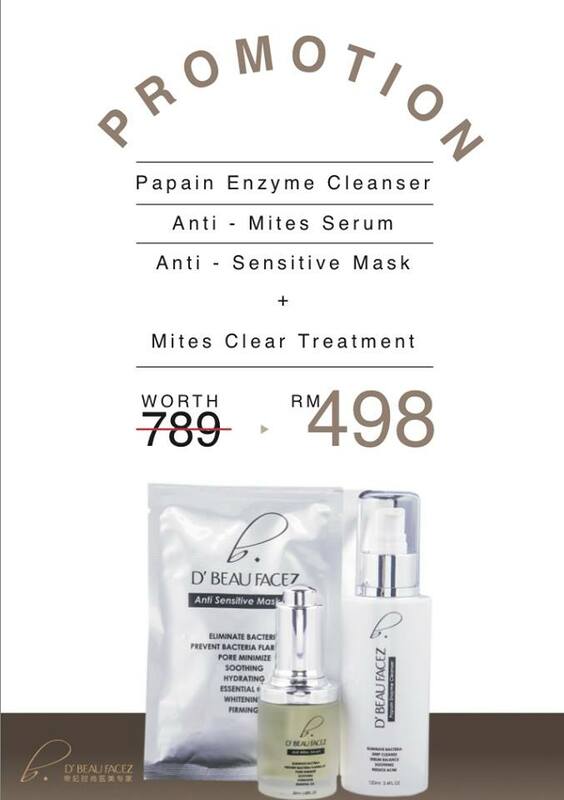 D'beau Facez is located at 55A, Jalan SS21/60, Damansara Utama, Petaling Jaya, Malaysia. 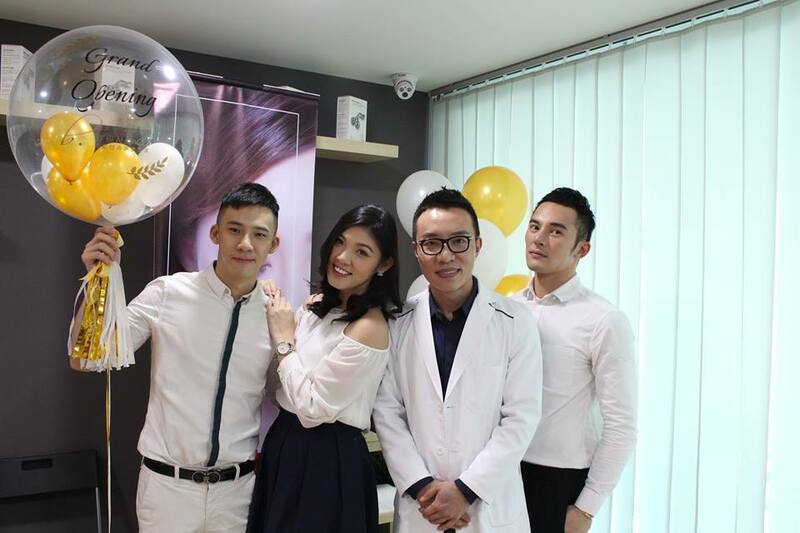 D'beau Facez 帝妃时尚医美专家 is an aesthetic clinic that provides one-stop medical service. It believes that medical beauty is a way to make life better and will eventually change the world’s perspective on beauty. D'beau Facez 帝妃时尚医美专家 creates medical technology combined with dermatology, aiming to become pioneer of the current industry. 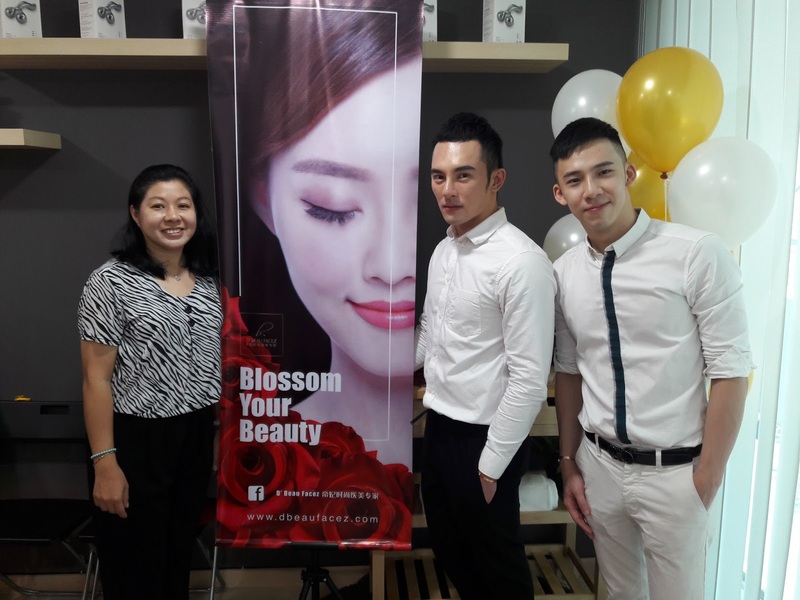 Founder Terry Woo said that there are people born with natural beauty but not many of them are able to keep their beautiful skin as they age. He mentioned that taking good care of ourselves and dressing up with good personal appearance is an etiquette, this is also manners when meeting others and to get respect from others. 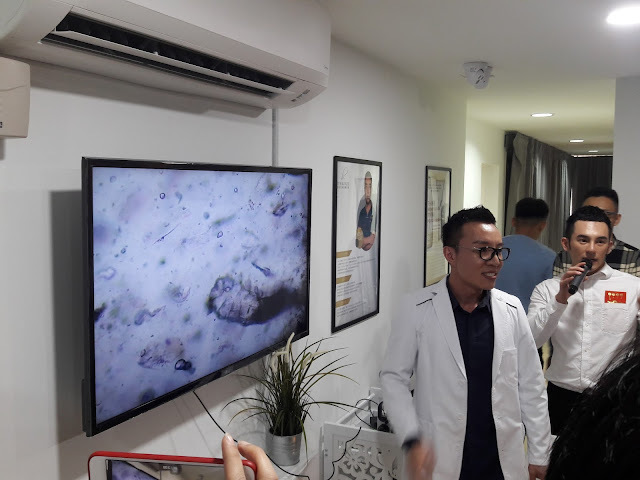 During the launch, the doctor carried out a demonstration session of facial mite test and did some explanation on technology of needle free mesotherapy. Mites are tiny pests that are hard to see with the naked eye. The weather in Malaysia is very warm and causes the rapid growth of small mites. The body secretions and excretions are allergens. When mites enter the human respiratory tract or contact with the skin, face will have enlarged pores, coarse and dark skin, sneezing, runny nose, stuffy nose, cough, asthma and other symptoms. D'beau Facez 帝妃时尚医美专家 Dr.Mino Suen invited a few medias representative & bloggers to try on the face mites test and found that most of them have mites on their faces. Therefore, D'beau Facez provided all guests with a one- time free mites’ clearance cash voucher worth RM 299. 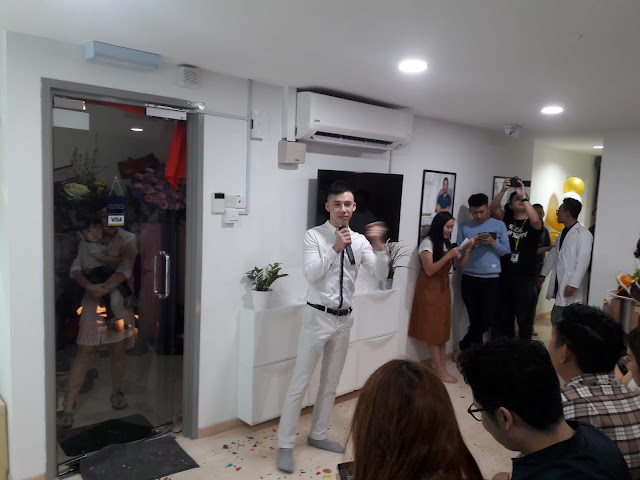 Other than mites testing session, D'Beau Facez also invited one blogger to try out their needle free mesotherapy treatment. 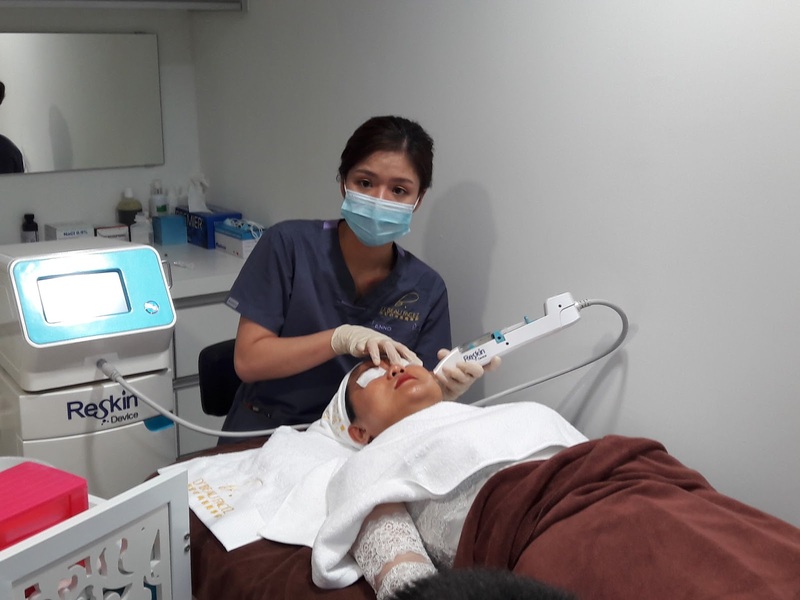 Imported from South Korea, mesotherapy is a type of non-invasive treatment technology delivering cold beauty nutriment to deeper skin layer, extreme moisturizing, uniformity treatment for all skin location. For more information, please visit D'beau Facez Facebook page https://www.facebook.com/dbeaufacez/. It is inevitable that everyone ages as they grow older and all want to look younger with less wrinkles and more volume to cheekbones and other areas. 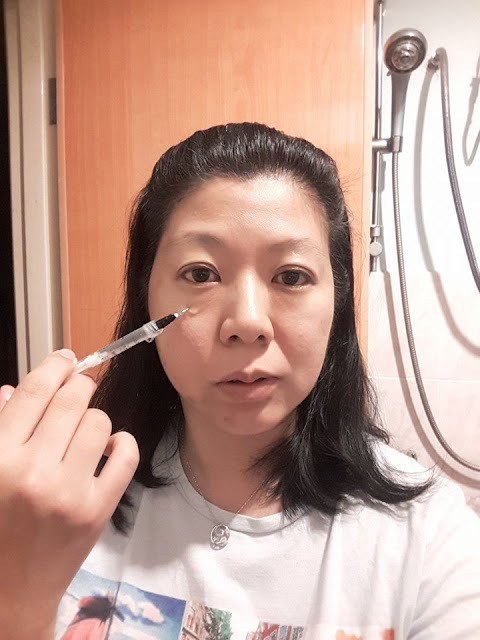 Instead of visiting doctors for expensive cosmetic treatments or for those who are afraid to have needles or injections, Fillerina Dermo-Cosmetic Filler is another option. This is for home use, is really effective and good. Recently I received a box of Fillerina Dermo-Cosmetic Filler treatment in collaboration with Boutique de Beaute from Hong Kong to review. 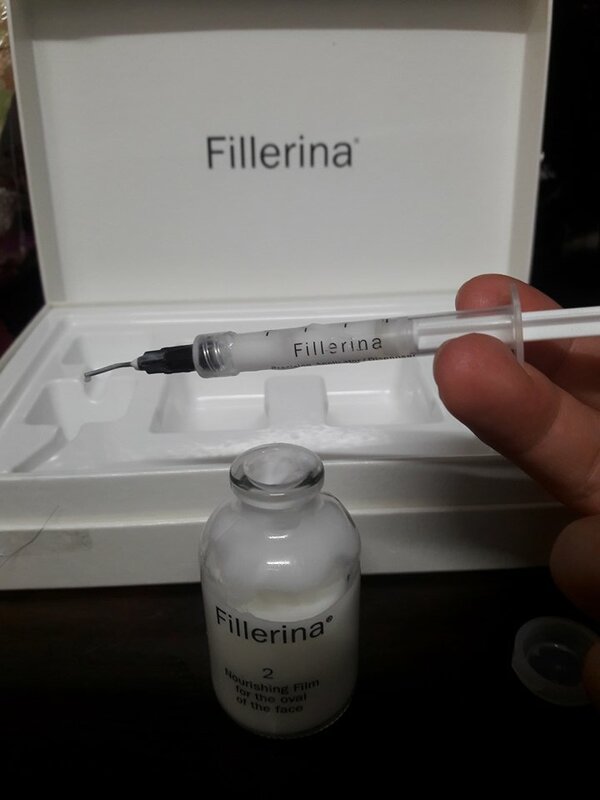 Fillerina comes with 1 bottle of Gel Filler 14 doses (2ml each) and another bottle of Nourishing Film 14 doses (2ml each) with 2 precision applicators which looks like syringes. Fillerina is popular in 37 countries with more than 1 million witnesses worldwide witnessing the effectiveness. There are many celebrities who are satisfied with the results after usage. 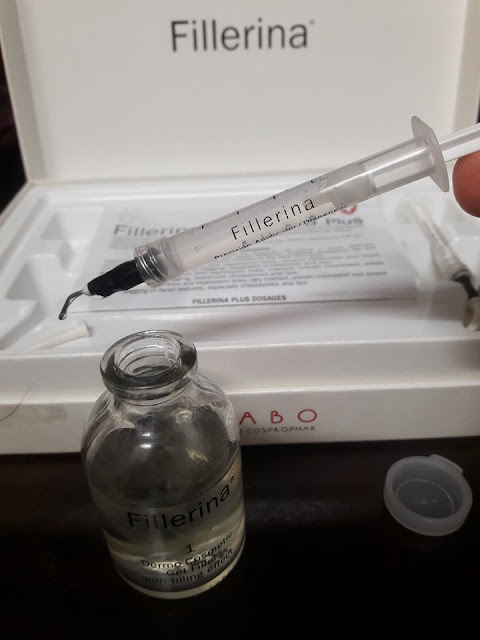 Fillerina consist of 6 different types of hyaluronic acids with different molecular weights and structures, allowing the hyaluronic acid to reach dermal layer. Fillerina is a 14 days home treatment with no needles or injections. 1. 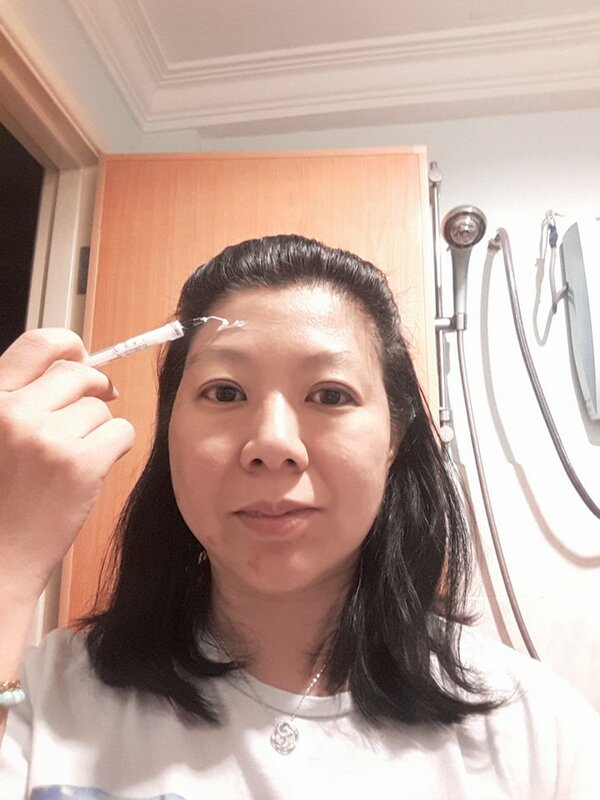 After washing your face, use the applicator to extract 2ml of Fillerina Gel Filler. 2. Accurately apply to desired areas such as wrinkles and cheeckbones or lips. The Fillerina Gel Filler is watery and there is no sticky feeling. 3. Wait for 10 minutes for the active ingredients to be absorbed. I felt some skin tightening sensation while it is being absorbed. 4. Take the other applicator and extract 2ml of Fillerina Nourishing Film. This is thicker and harder to extract. 5. Apply Fillerina Nourishing Film on face and neck. The ingredients include vitamin E, meadow foam seed oil and shea butter. My skin felt soft, a little sticky and more moisturized after applying this. It is advisable to drink 2 cups of water before using Fillerina treatment for better absorption. This process is to be done once a day for 14 days in the morning or night. 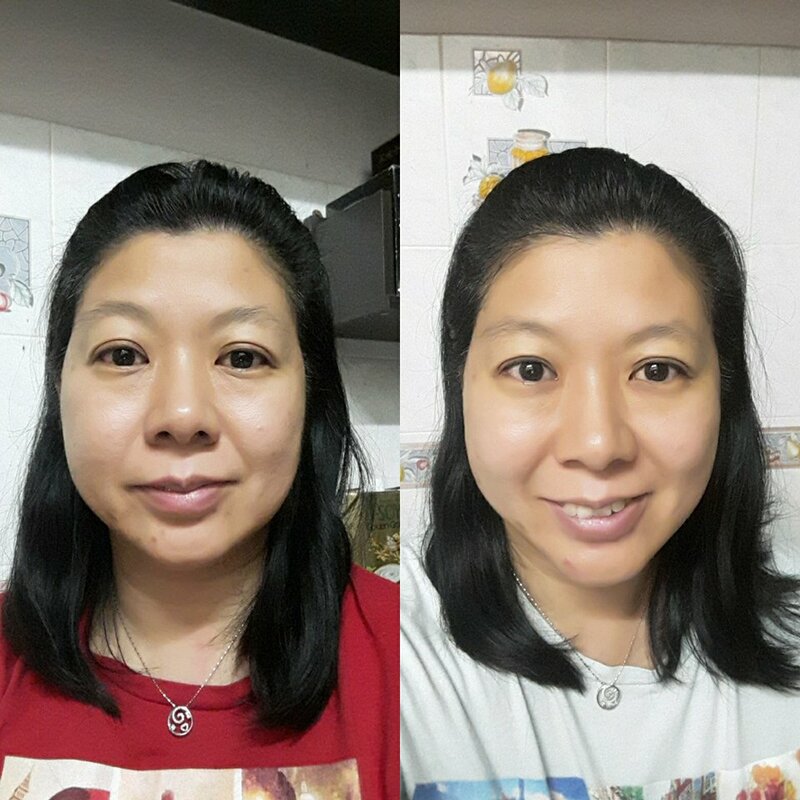 Before usage on the left and after 14 days Fillerina treatment on the right. Skin wrinkles are less visible and more moisturized. There is more volume on my cheekbones and neck feels softer. I did not use this on my lips, I only used it on my face and neck. Overall, I am satisfied with this Fillerina Dermo-Cosmetic Filler treatment. It is affordable and effective. The price for this box of Fillerina treatment is RM 328.30. 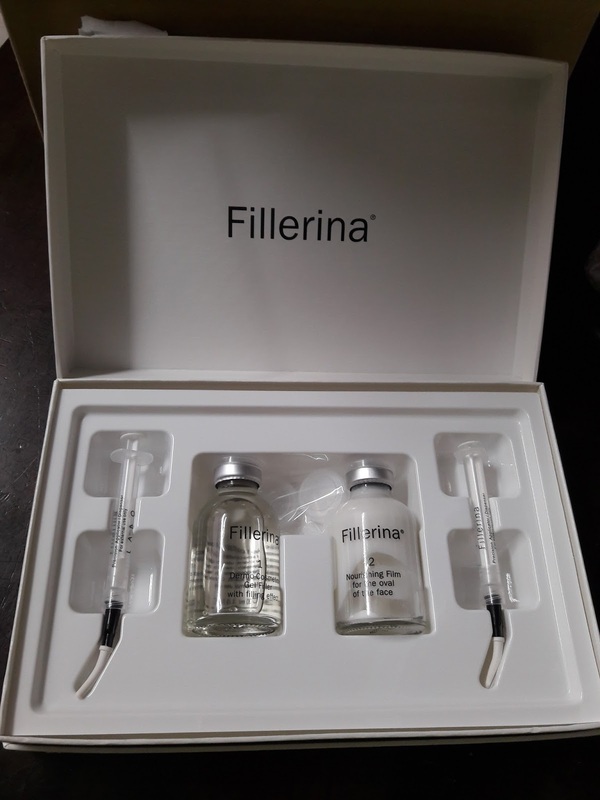 There is good news for my readers because you can get 5% off your purchase using Code: LINFIL5 for Fillerina Treatment or Fillerina Treatment + Day Cream Set with free shipping at https://www.debeautehk.com/. For more information, please visit Boutique de Beaute Facebook page https://www.facebook.com/debeaute.hk/. all under one roof, allowing patrons to enjoy endless luxury in an array of ambiances. designed to be a millennial magnet, it will appeal to patrons of all ages. head-to-head against players across the world with exciting, real time e-gaming tournaments. playful—matching the vibe of the place. to a big night in a lively and fun atmosphere. all sizes, and lovers of all kinds of music, games and sports,” said Ryan. Malaysia’s pioneer in premium grocery shopping experience, Ben’s Independent Grocer (B.I.G. ), has opened the doors to a new outlet at Damansara City Mall, the recently refreshed shopping and lifestyle destination. 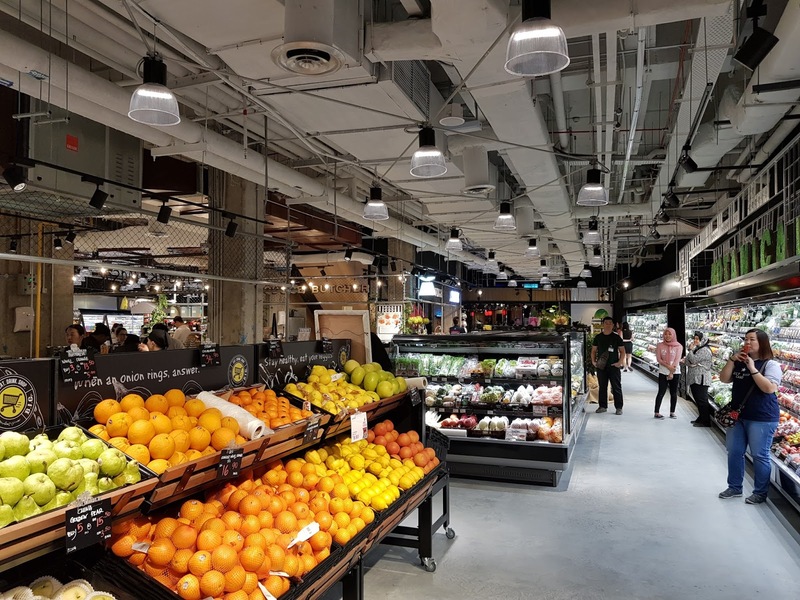 The 25,896 sq ft store presents a carefully curated selection of products and produce sourced locally and globally, showcased within a lively environment based on its flagship store in Publika. B.I.G. Damansara City Mall promises to be the go-to haven for fulfilling daily necessities and feeding culinary curiosities. 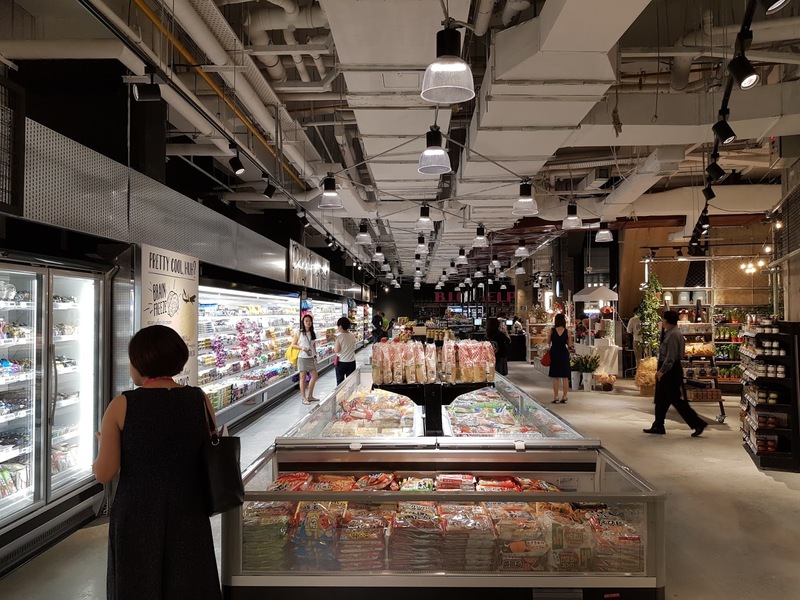 Set within an interactive space which is both customer-friendly and aesthetically enticing, the outlet showcases its signature supermarket sections with new additions to cater to its discerning clientele. 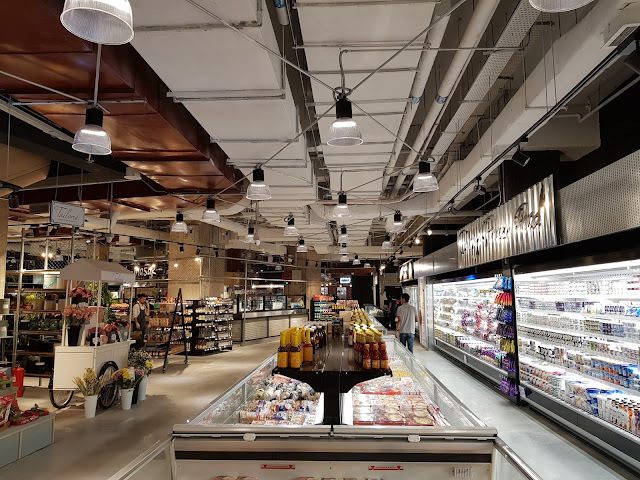 From the freshest seafood and vegetables to the finest ingredients that come from all corners of the world, the meticulously mapped out sections ensures friendly navigation and shopping with ease. 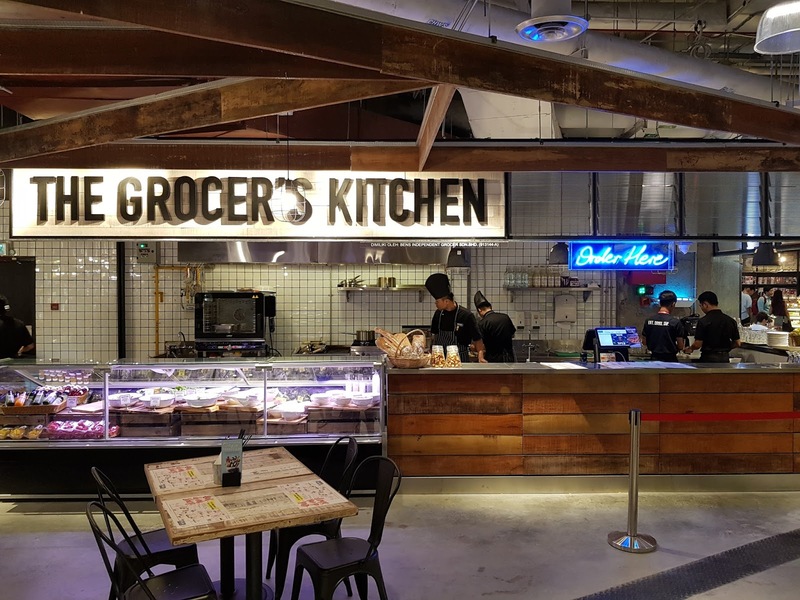 Planning to toss a salad for dinner or cook up a delicious vege stir fry? 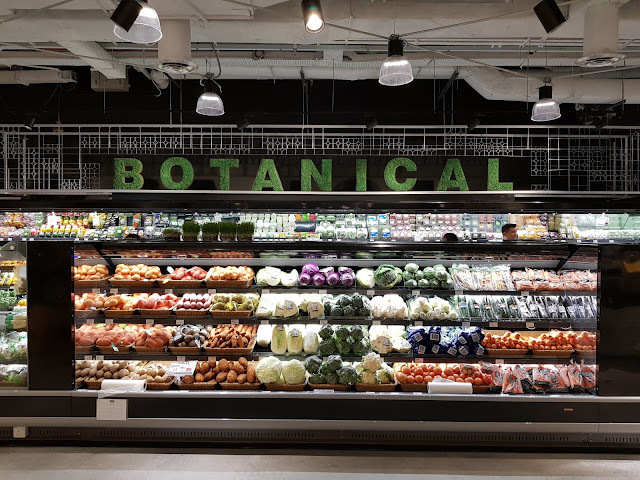 Botanical is your first stop in getting the best imported and locally-grown fruits and vegetables. Spices galore! 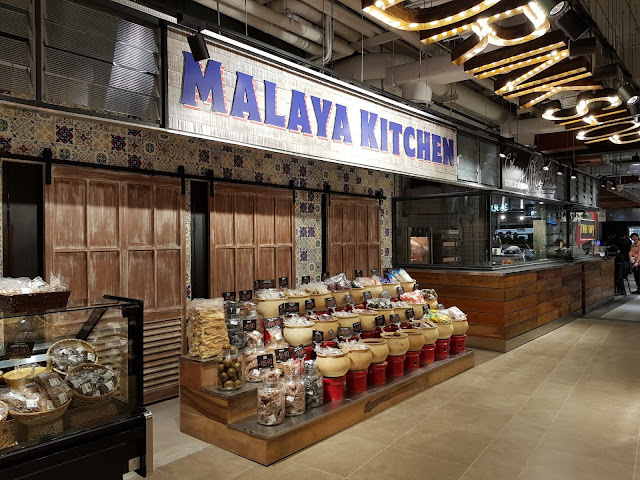 An extensive range of spices to choose from in a variety of forms be it fresh paste or dry spice. 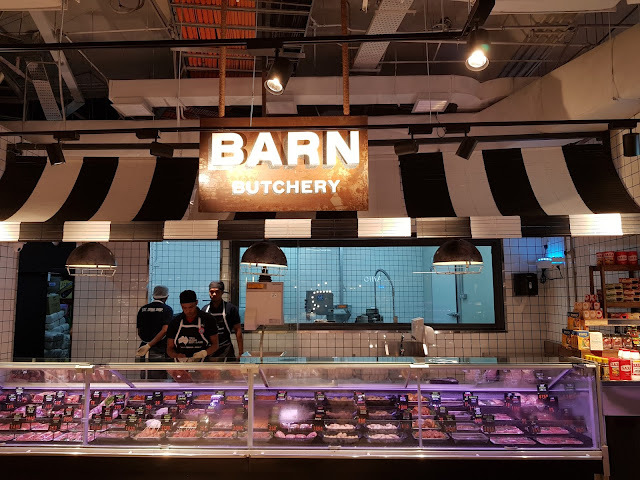 Our uncompromising standards ensures that only the finest meats are sold from a wide selection to cater to different customer needs – organic, grain fed to fully grass imported meats. For your convenience, grab our ready-to-cook marinated meats in different recipes. 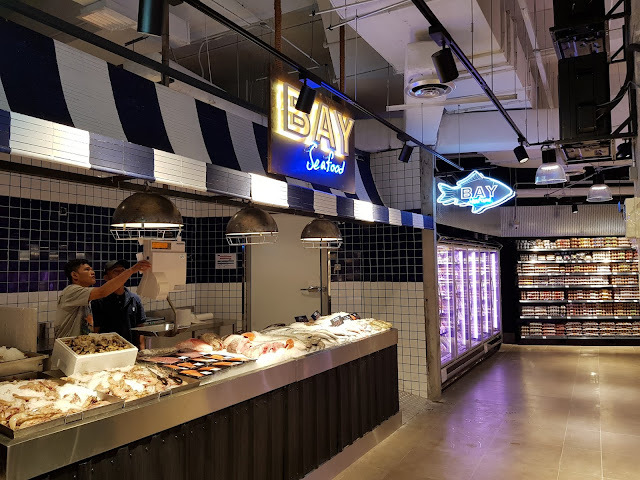 From the sea to your home. The freshest and widest variety of imported and local seafood. 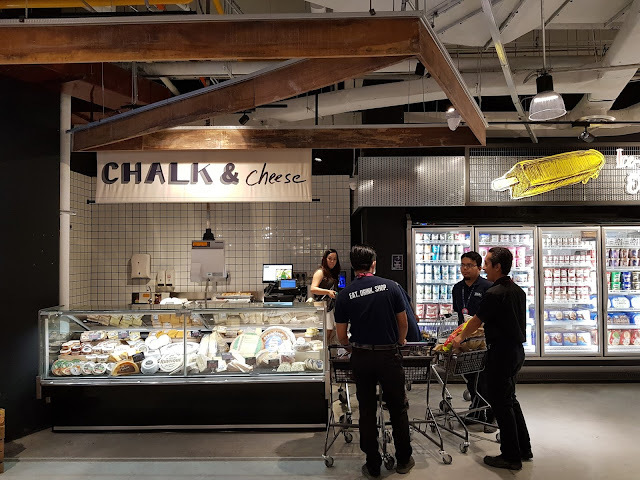 A wide range of cheese, fresh farm milk and spreads. 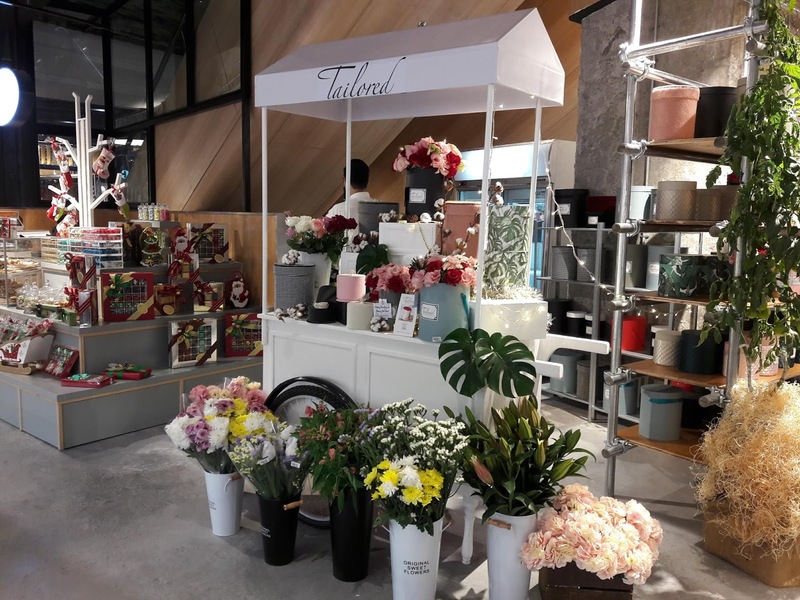 Whether it is a popular brand from Down Under or an artisanal product of homegrown business, you are bound to find a favourite. We have tracked down a selection of the very best cheeses, handmade by cheesemakers all over the world. From soft to hard cheese, you would certainly be spoilt for choice! 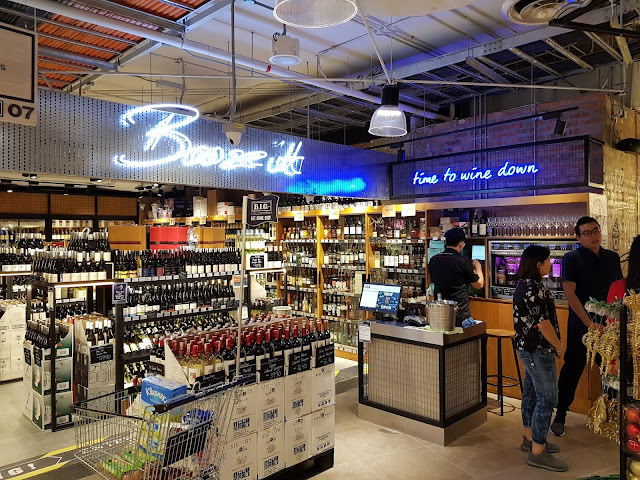 From wines to batch-brewed beers and premium spirits, our curation is full of alcoholic delights. In addition to the grocer the outlet also presents a wide variety of dining options making it an exciting destination of eating and drinking. New eateries sit alongside established brands in offering a wide variety of food and drinks to be enjoyed in-house or to takeaway. These options serve not only as a convenience to shoppers but also a much-needed option to those working and living in the area. The must-visit joint for pizzas, rotisserie and freshly made salads. Get ‘em fresh and hot! 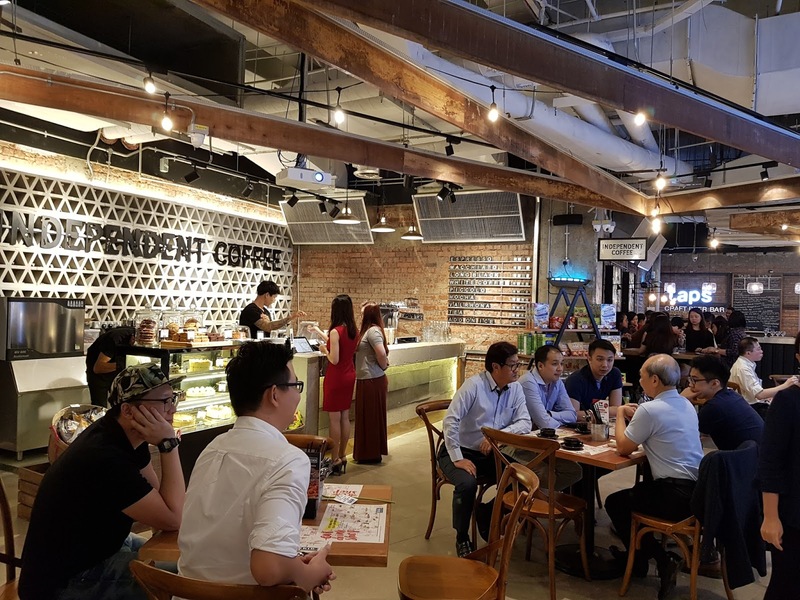 Where to head for that tasty cuppa, made from a special in-house blend of Guatemalan coffee. 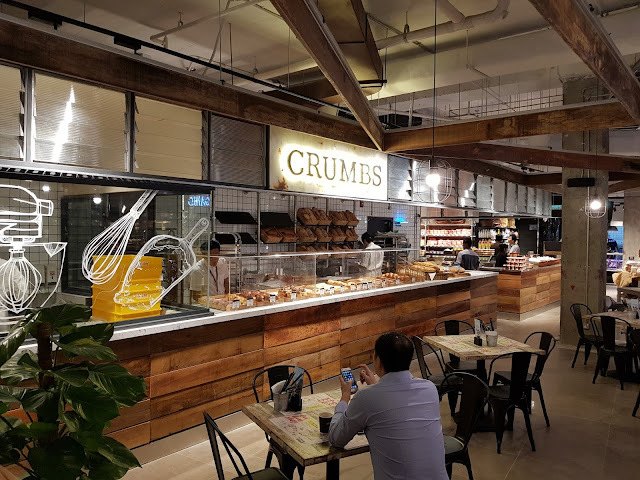 The whiff of hot-out-of-the-oven breads and delectable pastries will lead you to this delightful bakery. Exclusive debut from Australia serving sumptuous Vietnamese cuisine only at B.I.G. 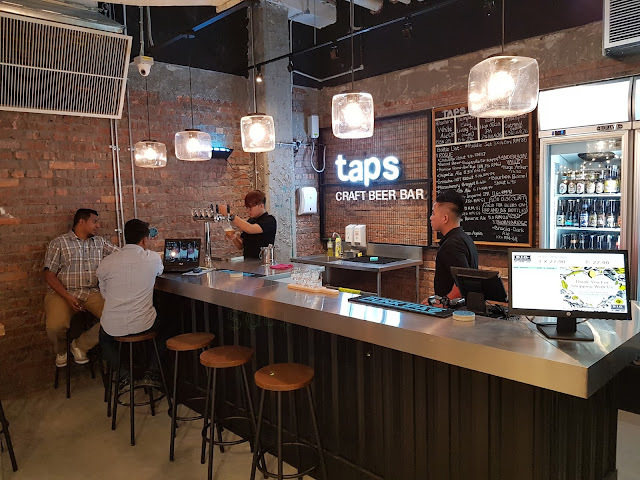 First taps beer bar to be introduced within a supermarket. Indulge the freshly baked baklava and the very promising beautiful gourmet chocolates. Make elegance possible with a box of fresh flowers for your loved ones. 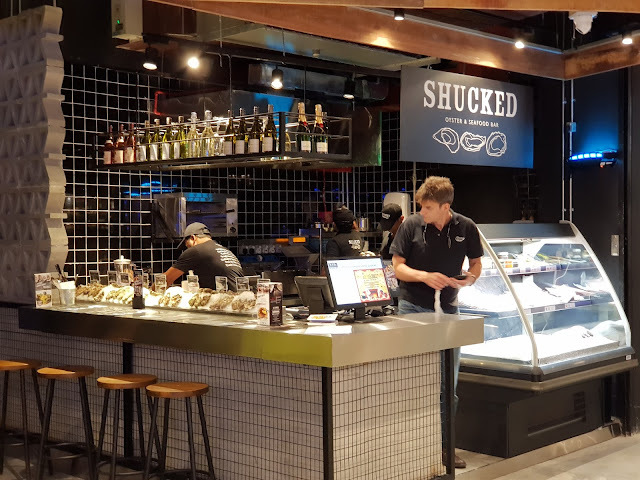 Enjoy the freshest selection of oysters air-flown from the many corners of the world from Amsterdam to New Zealand. 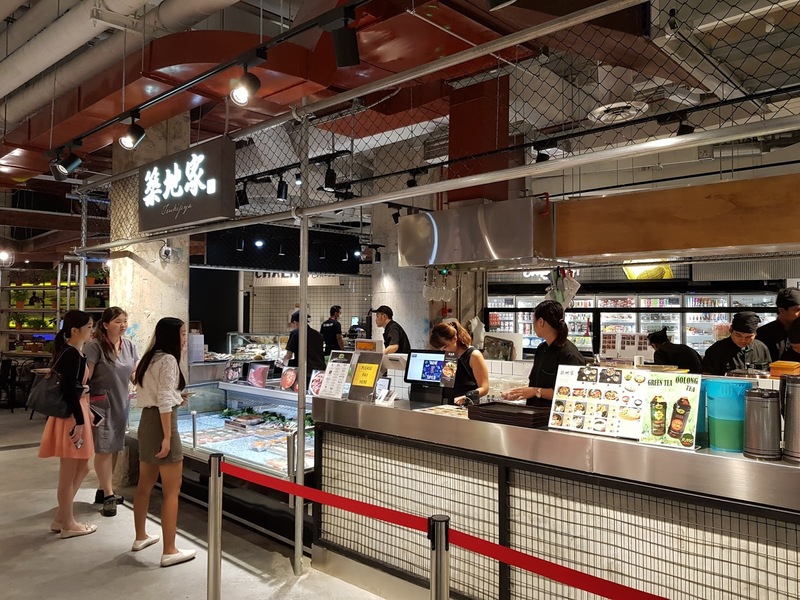 Serves up the freshest selection of sushi and sashimi. 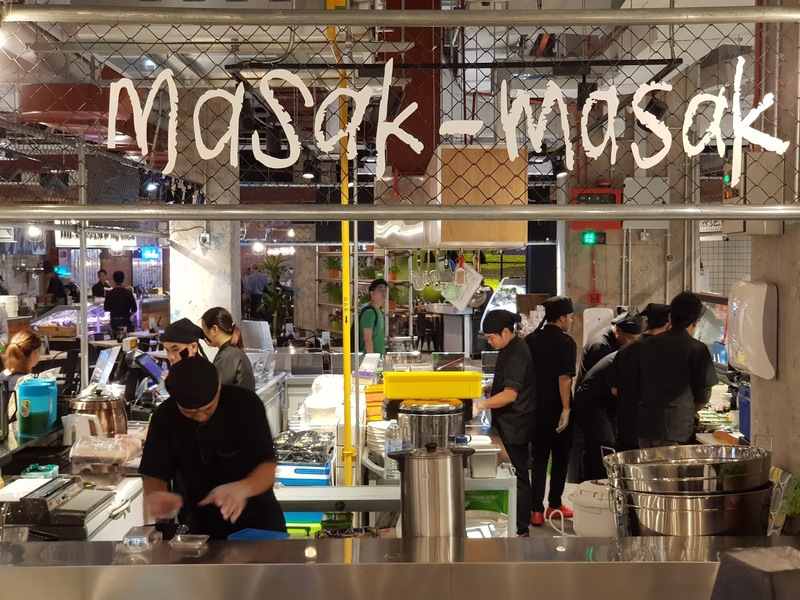 An in-house cooking demo space the perfect spot to learn a new dish or perfect a current favourite. 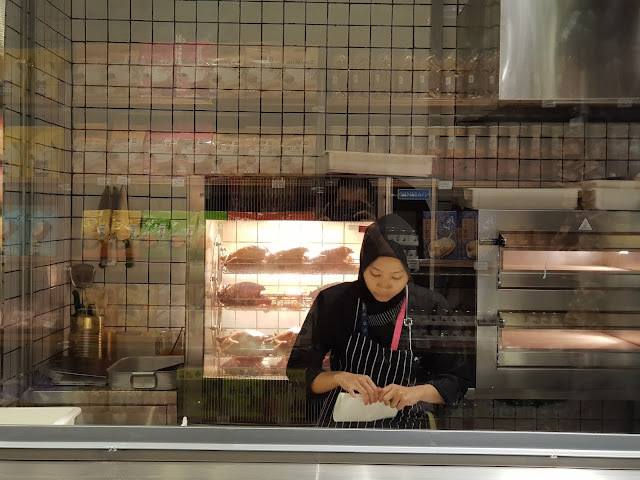 “Expanding our business into this suburb supports our long-term growth plans to make the B.I.G. brand accessible to more people in more places. We strive to fulfil the growing needs and demands of Malaysians whilst bringing to them new products and experiences that will make their visits a memorable one,” said Christine Lee, Senior Manager-Marketing of Ben’s Independent Grocer. 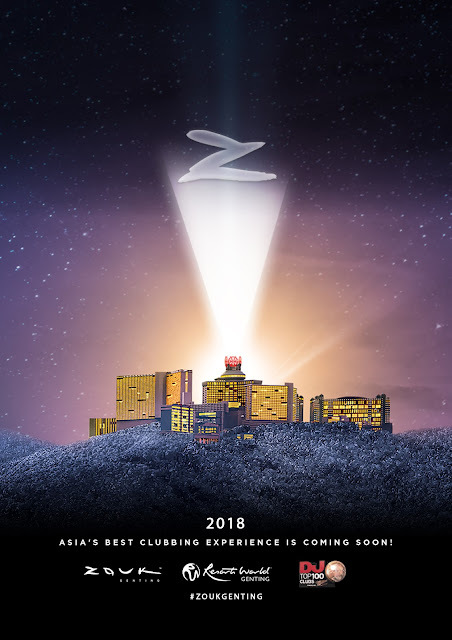 “We look forward to bringing the B.I.G. experience to a wider audience soon and to keep creating excitement and fresh opportunities within our current outlets,” she added. 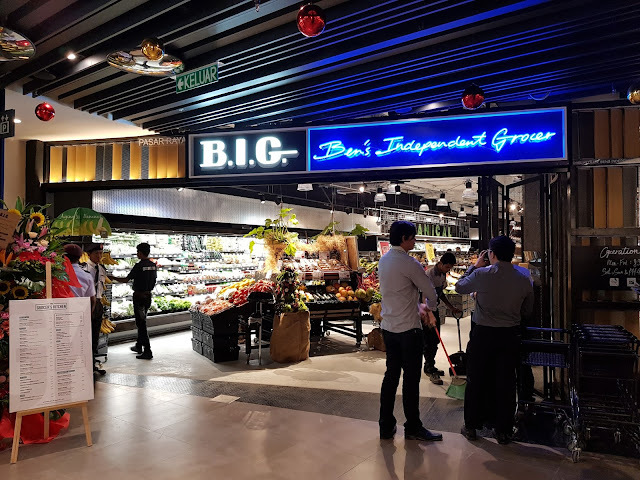 Ben’s Independent Grocer is at LG-12, Damansara City Mall. 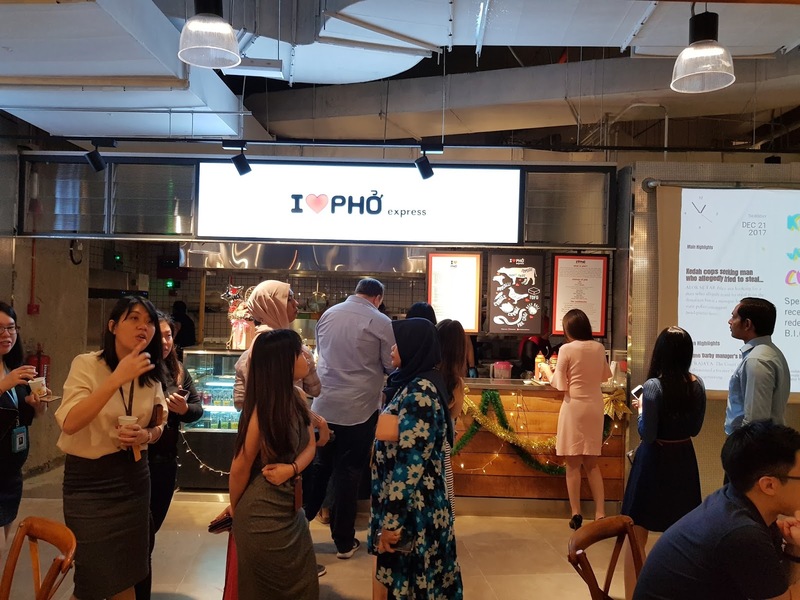 Is open from 8:30am to 10pm (Monday – Friday) and 9am to 10pm (Saturday – Sunday, Public Holiday).